Parasites are thought to be detrimental to their host by burdening host resources, damaging host tissue, and altering host behavior. Thus, ecologists might expect a negative relationship between parasite infection and host condition. However, many studies challenge this expectation and do not show a negative correlation, but show a null or even a positive correlation. To better understand the discrepancy between the expected relationship and the observed relationship found in many studies, a team including CEID members Cecilia Sánchez, Daniel Becker, Claire Teitelbaum, Paola Barriga, Ania Majewska, Richard Hall, and Sonia Alitizer inspected the metrics ecologists use to study host-parasite relationships, and the drivers which cause null, positive or negative correlations between condition and infection. They analyzed 553 condition-infection relationships gathered from 187 previous studies and found they had a wide range of correlations. While a majority of experimental studies showed a negative association between host condition and infectivity, researchers identified that both observational and experimental studies had publication bias favoring negative relationships. They also found thermoregulation among the hosts was the only factor which consistently determined the correlation between condition and infection. Endotherms (warm-blooded animals) showed more frequent negative condition-infection relationship than ectotherms (cold-blooded animals) due to endotherms using energy to regulate body temperature and the parasite benefiting from the constant temperature. Results from this study provide recommendations to improve future research into the how parasites impact body condition. 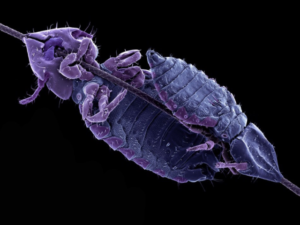 Researchers recommend that future studies consider host-parasite biology, choose body condition metrics that can change throughout an infection, employ longitudinal studies, and consider experimental studies in which infection status can be manipulated.